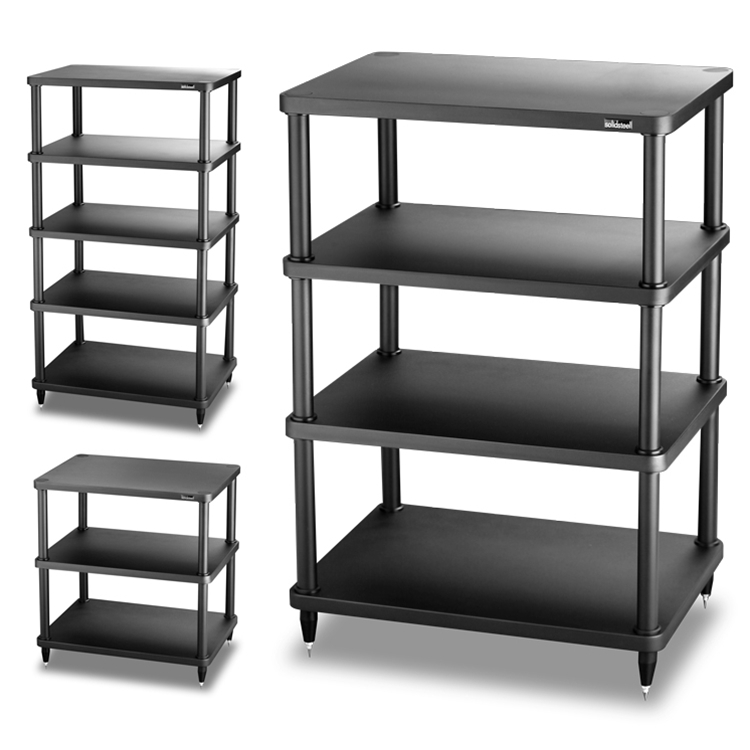 The Solidsteel HyperSpike Series of equipment racks was designed to provide reference level support for your audio system. 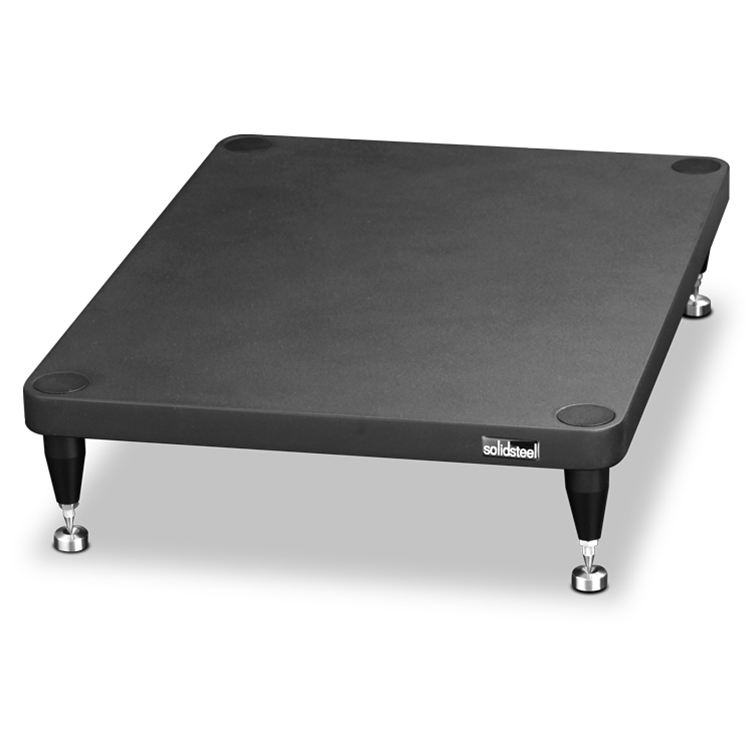 The new modern style is more than just great looking; the HyperSpike was designed to be one the most effective isolation racks. 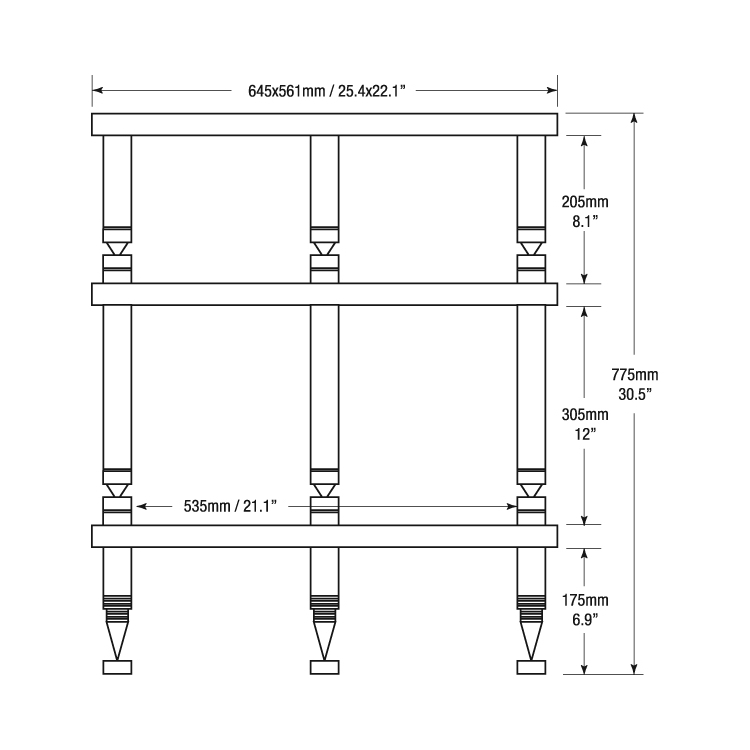 The first thing you’ll notice is that it’s built on a three pillar foundation, not four. The tripod approach makes leveling a snap. 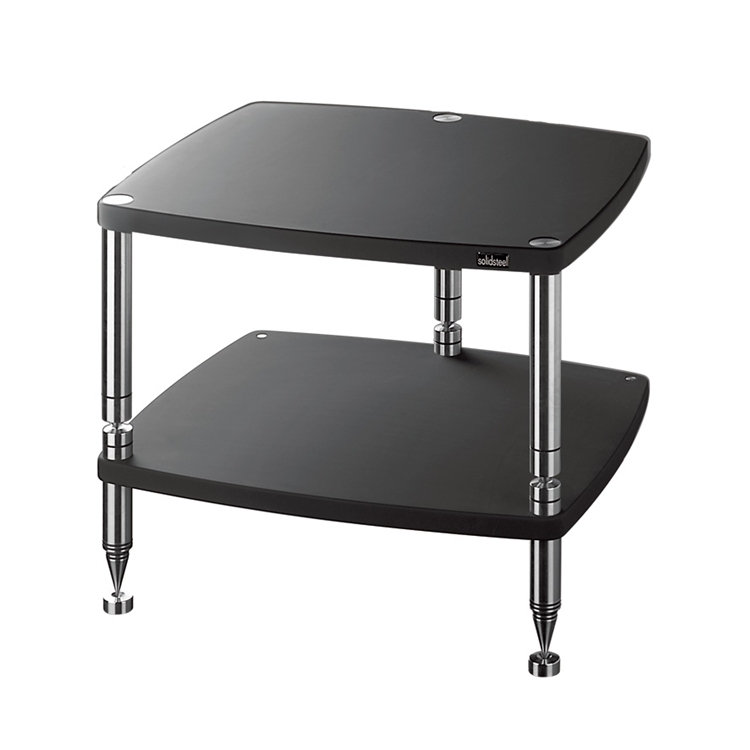 The legs are made from the highest-grade stainless steel. 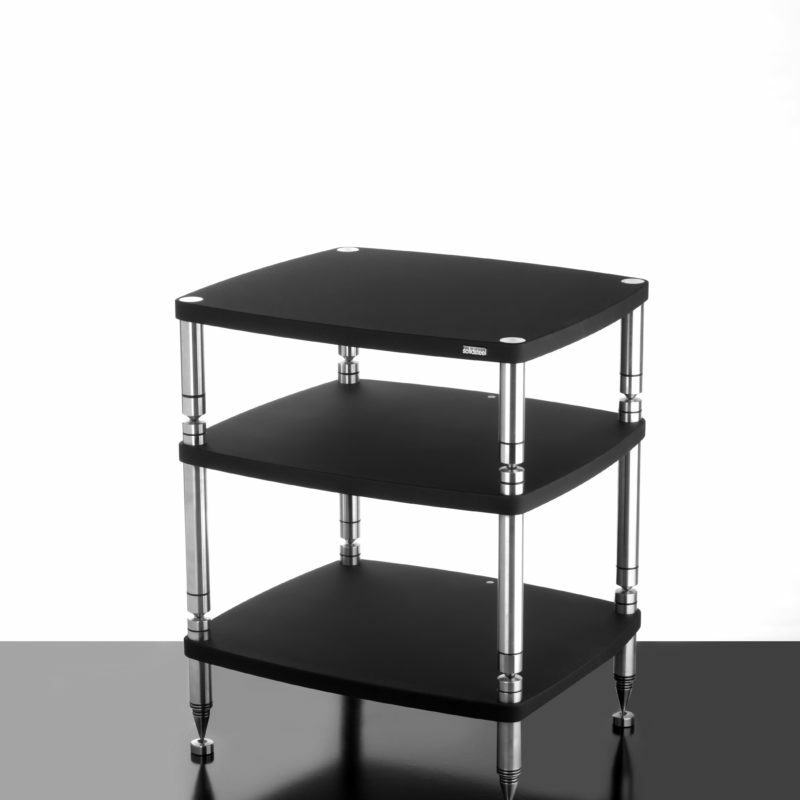 Every shelf is fully decoupled from the rest using Solidsteel proprietary spike-in-cup isolation between shelves. This prevents vibrations from traveling from between components. 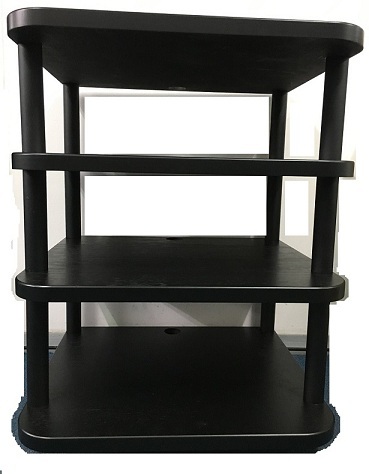 The custom MDF shelves are coated with a special rubberized paint coating, making each shelf acoustically “dead,” with almost all resonances removed. 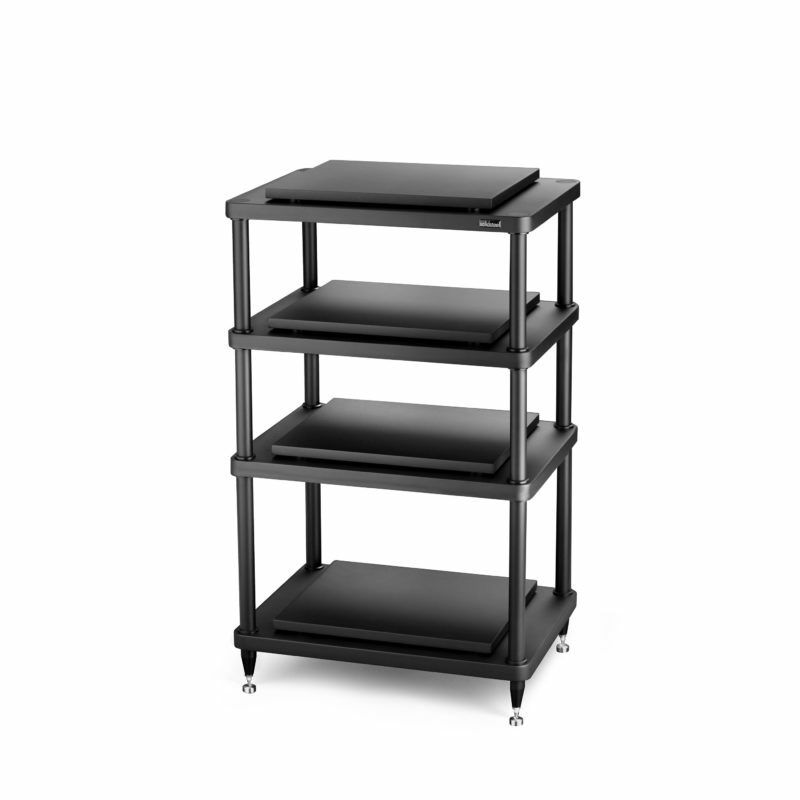 The racks also come with stainless steel spikes and cone cups for floor protection. 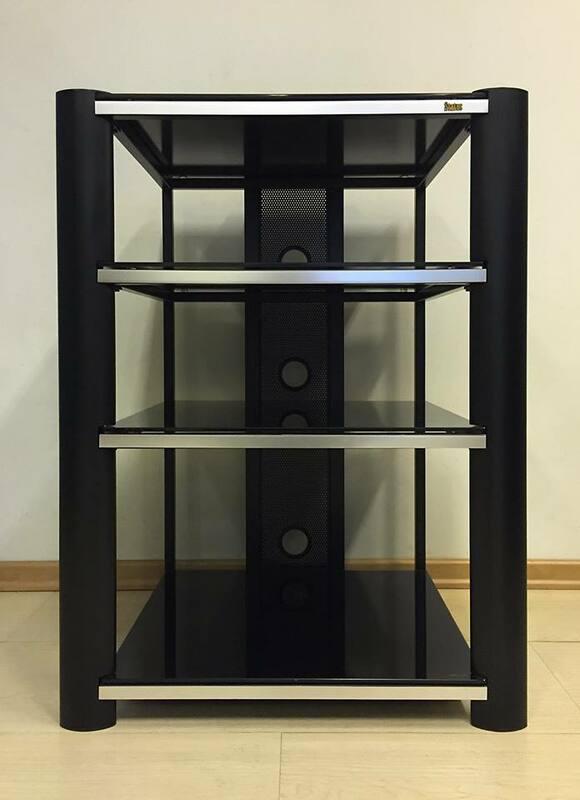 This is the finest audio rack Solidsteel has ever designed, and we are sure you will enjoy its aesthetics as much as the sound quality improvement in your system. 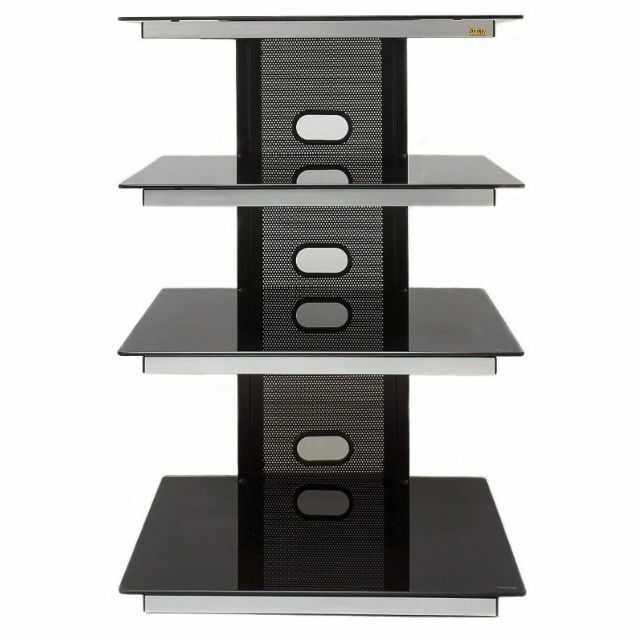 Available with Silver or Black Shelves on Stainless Steel. 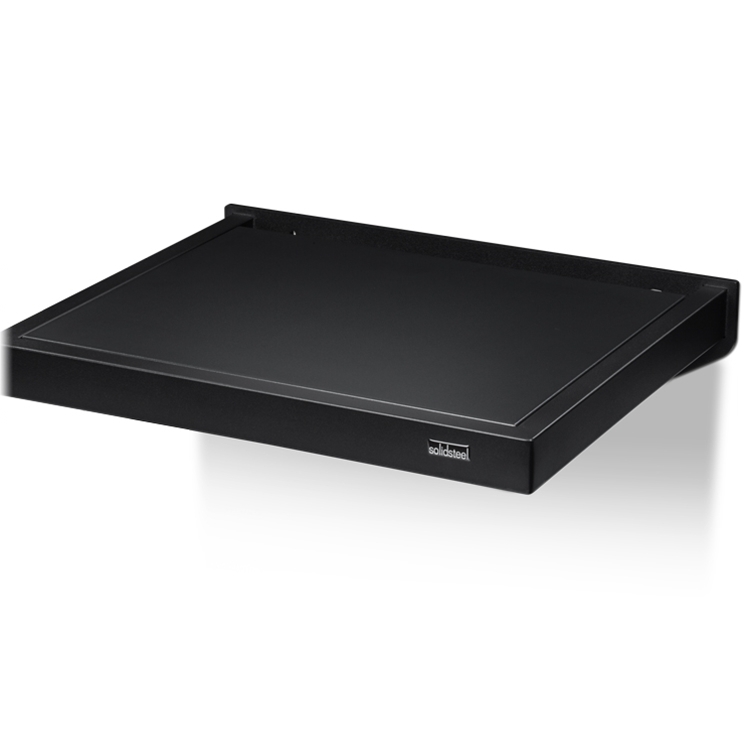 Dimensions: W 25.4" x H 21.3" x D 22.1"